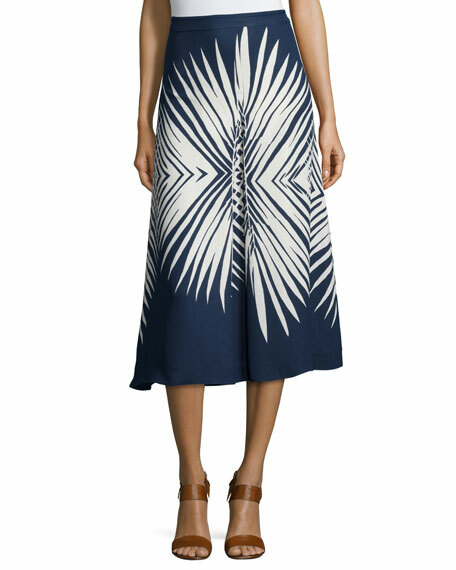 Veronica Beard "Ivy" midi skirt with radiating leaf print. 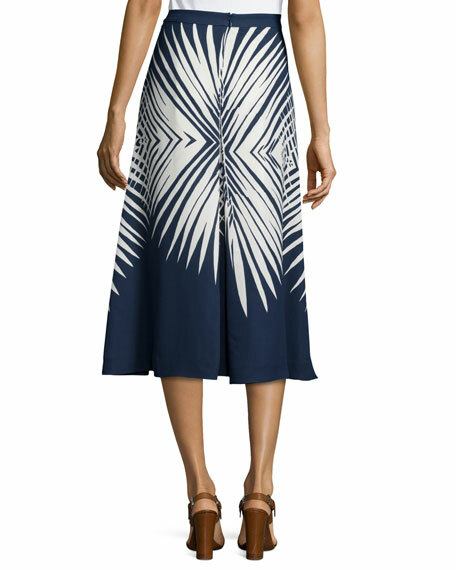 Inverted pleats at front and back. For in-store inquiries, use sku #1718015.